Isn’t it amazing that all three persons of the Trinity rarely refer to themselves, but rather to the other two? This is only possible for someone who does not have a self-focus at all. Our inherent fallen Old Adam nature has been cut off from God’s presence because of our self which is somehow captured in its own little world to which nobody has access who does not feed our self’s love for itself. Sounds saddening, doesn’t it? But there is hope, brothers and sisters. 😉 Let us look at what T. Austin Sparks had to say about the salvation of our souls from their separating self-focus. Through trial and testing and by way of faith our souls are brought to complete deliverance from the grip of Satan and self over them, bringing them into fellowship with Christ and out of fellowship with Satan, bringing deliverance from the self-principle which was brought into the soul by Adam’s decision. That is the salvation of our souls. It will be a grand thing and this is what these scattered believers to whom Peter was writing had grasped. The language may sound extravagant – “ye rejoice greatly with joy unspeakable and full of glory” – but they have grasped something. What have they grasped? They have seen that the time is coming when all this wretched, horrid, beastly self-principle that is in the creation, causing all this trouble in every one of us, will have been finally rooted out and replaced by the Christ-principle of utter selflessness where we are never affected or influenced by our own feelings, our own interests and how things touch us, but where we shall be completely delivered from our own souls, these souls which are a curse to us every day, our feelings, our ideas, our wants and our wills. If only we could be completely oblivious of ourselves, be completely free from ourselves, how happy we would be! These people grasped that the time was coming when it would be like that, their faith had laid hold of it and they rejoiced with joy unspeakable. That is the grace which is coming with the revelation of Jesus Christ. That is the prospect, and the trials and sufferings of the present time are working toward that – to get us free from ourselves, to turn us out from ourselves. They had grasped that and they laid hold of the end of their faith. By faith they received the end of their faith and they rejoiced with joy unspeakable and full of glory. If we are oppressed by our own souls and bothered by our own souls, let us at least turn our thoughts and praise God that the day is coming when we shall be completely emancipated from ourselves. It might be that if only we could take that attitude of faith and lay hold of that by faith, the joy would spring up now. I want to repeat Jesus’ words of the Scripture I pasted above. He said, “Truly, truly, I say to you, whoever believes has eternal life.” Eternal life is life in the here and now, it is a life that knows no sting of death any longer, a life that comprises our past, our present, and our future. Eternal life is knowing God and Jesus as John 17:3 confirms. May God help us believe as we should. Please, help our unbelief, Lord. Amen. Dear Sue : Your article brings to my mind the situation that I am going through these days–I am going to a different church and I am only going there by Gods prompting–its one of those bible churches–every thing that goes on in this church has to be biblical–you know the inerancy stuff–But they do not know who T A Sparks is and you never hear them talking about the co/crucifiction of the saint with the Christ–Its funny that people only focus on seperate things and ignore the complete picture–this church says their main goal is to teach discipleship but they are bypassing the cross–I wonder–Lord why are you prompting me to gather here? I guess He wants to do some more of that school of Christ thing—Any how thanks for some more good stuff from Germany! Indeed, you never know what God has in mind when He prompts you to do certain things. In the beginning we simply need to obey His ‘nudgings’, but sooner or later, we might get a glimpse of the whole picture God has had before His eyes all along. May God help you and guide you on your individual path every day, my brother. As I read your blog I was reminded of how many times that Jesus shined His light on those who walked in broken humility, like the widow with two small coins to her name who even gave those to the Lord, and then He shown His light on the darkness in the souls of the Pharisees who beat their breasts and boasted about their own righteousness before all men. Those who were humble and broken loved Him and those who were proud desired (and finally succeeded) to kill Him. The same is true today. Wherever pride is found in a person there is a desire to exclude Christ and the work of His cross and attain to and boast in ones own righteousness. I would say that this is really what is at work in this “different church” that Ken mentioned above. What is behind those groups who beat the “biblical inerrancy” drum is a need to be “right” just as the the Pharisees of old. Jesus pointed this sin out when He said to them, “You search the scriptures and in them you think you will find life, but it is they which speak of me AND YOU WILL NOT COME TO ME that you might have life.” Pride! Plain old Religious Pride! The older I get the more I see the depth of what Jesus said, “Unless your righteousness exceeds that to the scribes and Pharisees, you will no wise enter the kingdom of heaven.” In the economy of God, there is only ONE righteous and that is HIM and those who abide IN His Son and forsake all that is of themselves. How hard it is to be broken on this narrow path of taking up our crosses daily, we have come to know it. But how much more can God give us and entrust us with when we have finally given up on our old nature’s desires as we really “see” that HE and His love are all worth it? Funny thing, my brother, is that you expounded on the coins of the widow while the comment that followed yours was written by ‘the lost coin blog’ 🙂 What a ‘coincidence’! Michael you said, …”a need to be “right””… – wow that sums up everyone not being conformed to the image of Christ I think. Thanks, Judi. Christ is our sufficiency in all things pertaining to life. “In Him was Life and the LIFE was the light of men.” May His life multiply within you as you seek His face, dear sister. Well said, Ms. Susanne, thank you. Amen to your prayer. It is amazing, but shouldn’t take us by surprise (nowadays), how pompous people can be. And the individual in question probably has no clue how narcissistic he/she sounds. What a contrast to our Lord’s humility and His urging ‘to love thy neighbor’, to do for others..
As you have pointed out it seems we’re trapped in this body and only the love of Christ can and will set us free. Rejoice in deed! Peace be with you, God bless. It is true that people are more pompous nowadays, as it seems, since this is what esp. media in this world promote. The more someone speaks or writes, the more we might sense their pride which is disgusting, not only in God’s eyes. Even ‘normal’ people do not like it when someone keeps boasting. Humility, instead, is more likely to make others open their hearts toward the humble person and share their secrets, problems, or difficulties in life with them. Yes, only His love will do what we cannot! May His Peace be with you, too. I so agree with both your comments. 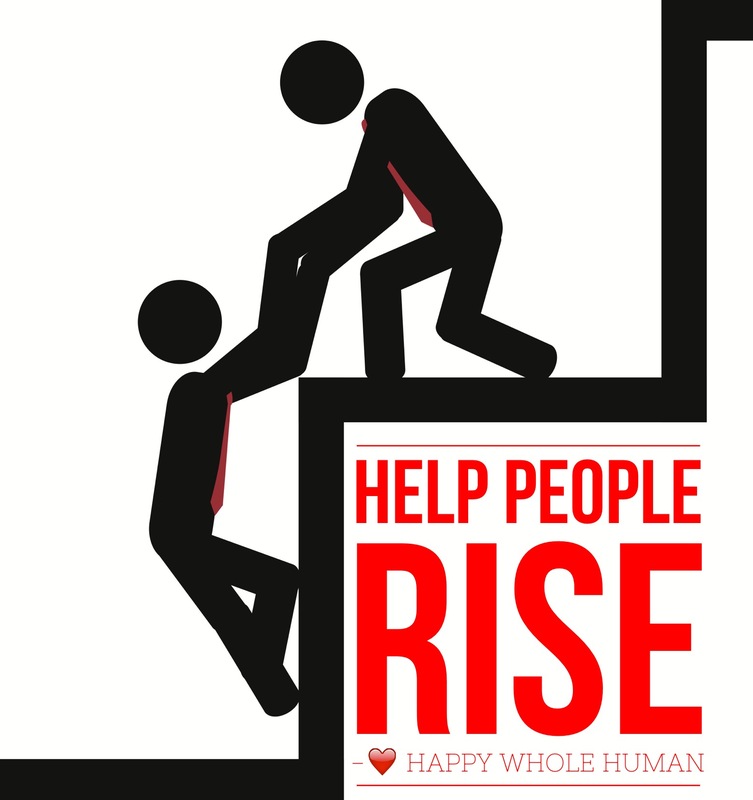 It’s putting other people first in whatever capacity you’re prompt to do so. Even if it’s only offering a smile, that smile may just make the difference in someone’s day. It’s sad more people do not understand the simple gestures our Lord demonstrated throughout His life. Coincidence maybe, or might just be God’s way of telling us we’re on the same page. Reminds me of the saying ‘good minds think alike’ 🙂 when our Lord is in our hearts. It’s all His Spirit in us shining through. Praise His Holy Name! Thank you again for putting it out there. Godspeed. You are welcome, the lost coin. A little smile can work miracles in sad and discouraged people at times. That has been my very experience as well, also as being the one on the receiving side of a smile sometimes. Honestly, I do not really believe in coincidence… I think God is in control of everything, even if some things seem to be out of control at times. We live in such a superficial society. As you say, Susanne, those w/ physical or emotional burdens, those bearing scars and acutely aware of their own shortcomings, more readily turn to Christ. Their weakness, their sorrow is the doorway. Those certain of their own perfection assume they have no need of Him. You are so right in pointing out the danger of turning pride and self-righteousness into a belief that we are “gods”. Televangelists and talk show hosts are all too ready to tell we’ve been infused with the divine essence of the universe or some such claptrap. I truly believe that concept is of Satanic in origin. Not that we require much encouragement to head down that road. Thank you Susanne for a wonderful exhortation and an insightful post! Wow- How BEAUTIFUL the way each person of the Godhead defers to the others. I never thought of it quite that way. Your LIKE made me smile, dear Judi. 🙂 Actually, I had been wondering where you have been lately since I missed your comments. The reason I have been MIA [i.e. missing in action] is due to a situation at work. I work on a farm and my employer has many types of animals (she is a small animal Veterinarian) and her hobby is racing horses. A filly she owns needed to come home for a few months rest and my p/t [i.e. part time] help is not experienced with horses (she is a good small animal vet tech though) SO I am working 7 days/week due to this and must be to work much earlier AND I was struggling with my “attitude”. Romans 2:7; 2 Timothy 1:10. τινα ἀγαπᾶν ἐν ἀφθαρσία to love one with never diminishing love, Ephesians 6:24 (cf. Meyer at the passage The word seems to have the meaning purity, sincerity, incorruptness in Titus 2:7 Rec.st). Sums up your reply I think? The thought of loving with “incorruptible love” really hit me and as I also believe there are no coincidences 😉 your reply confirmed that. There is no distance in the Spirit is there? God’s thought about the Church is not an impossible and merely idealistic one. It is a practical thing. Two saints, simple, humble and unimportant in this world, but really meeting together in the Spirit, can be a functioning instrument of Him to whom has been committed all authority in heaven and on earth. With them all these old limitations can be dismissed and they can at one moment touch all the ends of the earth. Do you believe that? That is really the meaning of our glorying in Christ risen. It has to be something more than emotion, and more than glorious doctrine; yes, more than a truth to which we give some assent…. If it is true that we are one with a risen, enthroned Lord, it ought to have tremendous repercussions. May it be so! I hoped you would read this quote and comment on it, too, Michael. Sometimes it is good to remember God’s promises when times seem to be darker, esp. when our health wears thin. Wonderful clarification from TAS! Thank you for sharing it. I am fine with ANY editing you may find is needed to keep my comment on track with the Holy Spirit’s theme. Love and a Big Holy Hug! I really needed to read this once again. I have had continuing debilitating back problems for over a year and lately, I fell against something and broke a rib. This outer shell is truly aging away. I am meaning the comment but NOT the pain! I am so glad that the verse I shared blessed you Michael! This comment is to both yours and Susanne’s replies regarding chronic and debilitating pain. Chronic pain is nothing to joke about. In my line of work I can relate to back pain. I did have to use chiropractic therapy in the past. I have had a few issues with toothaches but never ongoing for 14 months! I believe the Lord provided what I needed for the recurring issues I have since I have been healed and then re-injured many times. For my back I was told about a physical therapist named Robin McKenzie who perfected a method that has helped many folks with both back and neck pain (I have had injuries in both places – plus lol). It is called “7 Steps To A Pain-Free Life”. I suggest it since it has helped me greatly! I found it on Amazon. I have no leads on tooth pain, Susanne, except “Orajel antiseptic rinse with pain relief” helps my mouth sores and occasional toothaches. Nothing else I have used has ever healed so well. There is a rinse called “Vince” too but it is hard to find. Keeping you both in prayer that what our Lord has in mind will be accomplished and you will be healed soon! God multiply His love, grace, peace, and healing/wholeness to you dear friends! God’s hand is in all of this, I am sure. Just look at how long people suffered before Jesus healed them! There was 37 years for the lame man by the pool with others being healed, but not him. Then there was the woman with the issue of blood for countless years, the man who was blind from birth and so many people afflicted by demons for many years before they were delivered. It seems that in the case of each of them, the timing of God was key. Take the lame man by the Beautiful Gate! How many times did Jesus pass him by so that Peter and John could be used to heal him after the resurrection which resulted in a huge influx of new believers? May all glory be to Jesus and the Father, Amen. Boy, that was a God-inspired response, Michael! 🌠🌠🌠 Thank you!! I needed that, impatient ME, that is.